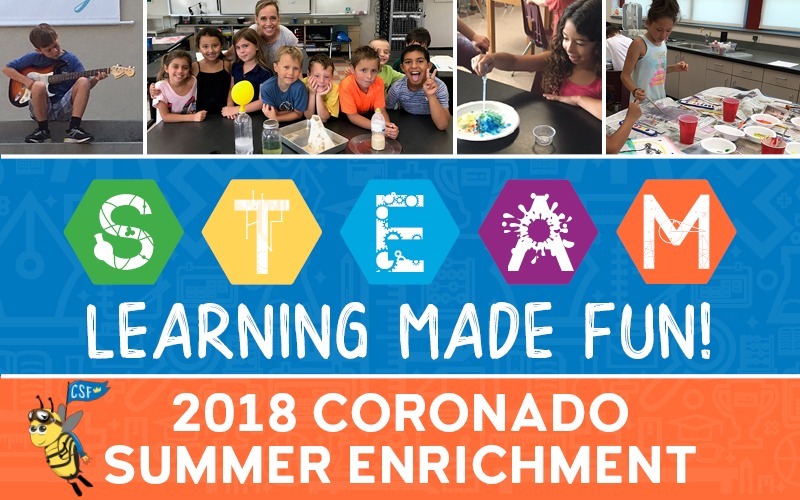 Register your child now for Coronado Schools Foundation’s Coronado Summer Enrichment Program and save $10 off each class, through May 15. 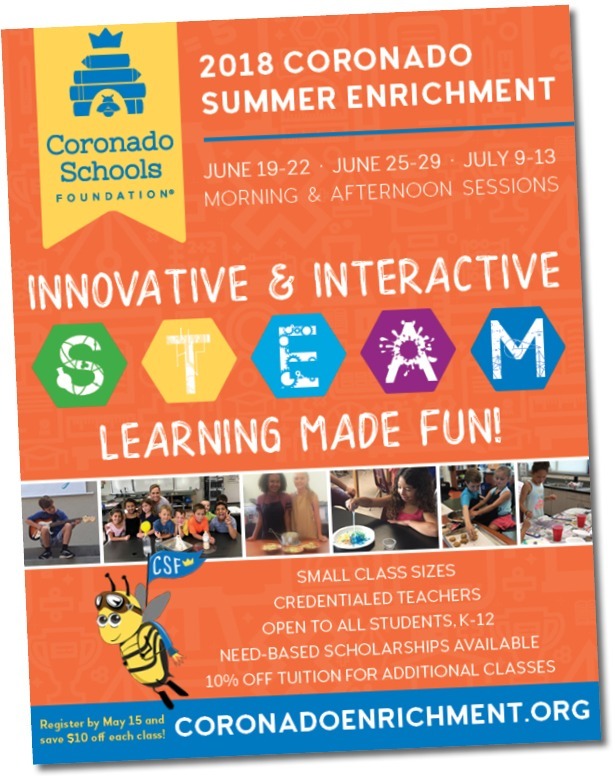 Now in its seventh year, CSF looks forward to your child joining the fun and hands-on STEAM-inspired classes, June 19-22, June 25-29 and July 9-13. Most are taught by credentialed Coronado Unified teachers with Steve Reiss, a local expert, teaching SAT and ACT classes. Class sizes are small, with most having a maximum of 15 students. 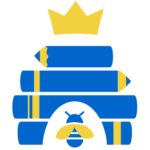 The program offers three one-week sessions, with classes for children entering grades TK-12 in fall 2018. There are also three innovative classes that run over the course of all three weeks: Creating Theater Camp for grades 4 to 12, SAT and ACT Test Prep classes, and Common App for juniors and seniors. For a second year, afternoon class sessions will also be offered with classes held from 8:30 to 11:30 am and 12:00 to 3:00 pm at Coronado High School with a supervised lunch period from 11:30-12:00. “Our program is unique in that it incorporates academic principles within fun and creative classes that bring children back year after year,” noted Kathy Shady, Summer Enrichment Principal and Village Elementary teacher with her administrative credential. New this year is an Island Detective class in partnership with the Coronado Historical Association, Flag Football and Quidditch taught by Silver Strand PE teacher Eric Bachmann, and a variety of Art classes taught by local artist and teacher, Kirstin Green as well as Village Visual and Performing Arts teacher, Cyndi Furhmann. Returning are some of our most popular classes: Game, Set, Math and Tennis; Wacky Science; Engineering; Navigating Middle School (for incoming 6th graders); Debate; Guitar, and a variety of cooking classes for all ages. Little ones entering TK or Kindergarten in the fall will enjoy Jump, Start, Kindergarten, offered each week with fun themes. Visit coronadoenrichment.org for complete class offerings, prices, course descriptions, discounts, and information about needs-based scholarships. Register by May 15 to save $10 off each class, and save 10% for enrolling in more than one class. For more information you may also call Melissa Lindley at 437-8059, ext. 4 or stop by the CSF Office at 201 Sixth Street.